2011 August 29 Steve Nguyen, Ph.D.
Steve Jobs, the charismatic and visionary founder of Apple Computers has resigned (August 24, 2011). Not to worry, he’s now assumed the Chairman of the Board role at Apple. Ok, now let’s shift gear a bit because in this post, I want talk about the health, well-being, and the price we pay for not heeding the warning signs of being a workaholic. 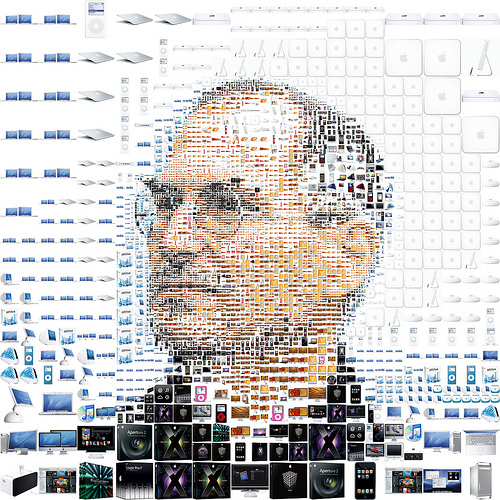 Some pundits were surprised that Steve Jobs resigned, but others weren’t. I wasn’t. After a successful surgery to remove a tumor in his pancreas in 2004, he went back to work within a few months. But Jobs’ health has been declining and he looks gaunt. If we analyze this whole scenario from a workplace psychology and occupational health psychology perspective, it’s not difficult to see that Jobs’ relentless drive (whether at work or when he’s at home) and his self-sacrifices (mentioned as a virtue in my “The Dangers of Charismatic Leaders” post) have taken an exacting toll on his health and well-being. In 2009, Jobs took another six-month medical leave and it was later revealed that he had received a liver transplant. Things “appeared” normal as he once again returned to work. But, in January 2011, Steve Jobs announced, yet again, that he was taking a medical leave. Fast forward to August 24, 2011 and the world found out, he was not coming back in his role as CEO. There’s an interesting story on the NPR blog called “A Story About Steve Jobs And Attention To Detail” by Eyder Peralta about Steve Jobs’ attention to (I would say obsession with) detail. It’s a story that Vic Gundotra, the guy behind Google+, posted about Steve Jobs calling him in January 2008 on a Sunday. While Vic’s memory of Jobs calling him on a Sunday unhappy that the second “O” in the Google icon on the iPhone didn’t “have the right yellow gradient” was one of admiration, my interpretation is one of concern. Remember that this is only four years after his pancreatic cancer scare. Workaholics spend a lot of time on work activities. They are excessively hard workers. Workaholics have a hard time disengaging from work and when they do, they continue and often think about work even when they are not working. This suggests a preoccupation and obsession with their work. Workaholics work beyond what’s reasonably expected from them to meet either the organizational or economic requirements. That is, workaholics often work excessively even if they don’t need the money. Schaufeli, Taris, and Rhenen (2008) explained that workaholics work and push themselves extremely hard, not because of financial rewards, career drives, or even organizational culture. Instead, workaholics work hard because of an inner compulsion, need, or drive. Shimazu, Schaufeli, and Taris (2010) discovered that workaholism is both directly and indirectly associated with poor health. The researchers found that while workaholics might contribute more to organizational performance than others, “the costs for the workaholic people themselves (in terms of ill-health) are high” (p. 158). When a workaholic, like a Steve Jobs, is constantly obsessing about work and doesn’t know how or even want to disengage (see my post about failure to disengage) while he’s away from work (e.g., Jobs should have been resting on that Sunday as I am sure his doctors would have told him to do), the end result is that something has to give. In this case, it was his health. I am a Mac user. I’ve been one for 9 years. I love my Mac and Apple products. I wish Steve Jobs all the best, particularly good health. But if I were him, I would not only resign as CEO, I would also not take on another role, even as a Board member. The health warning signs his body has been trying to tell him should be taken very seriously. It doesn’t take a doctor to see that Steve Jobs’ workaholic mentality is costing him his health. What a truly sad price to pay when we can’t or won’t disengage from our work.